"I want to encourage leadership at every level of our organisation. Catherine McAuley founded the Sisters of Mercy favouring leadership that responded to the needs of local communities. She encouraged people to lead and fostered growth by giving people autonomy. Every person at Mercy Health is invited to take the lead, to grow and to contribute to our mission." Stephen has 25 years’ experience in the health and aged care industry in Australia and New Zealand. Since Stephen assumed the role of Group Chief Executive Officer at Mercy Health on 1 July 2011, the organisation has grown significantly. 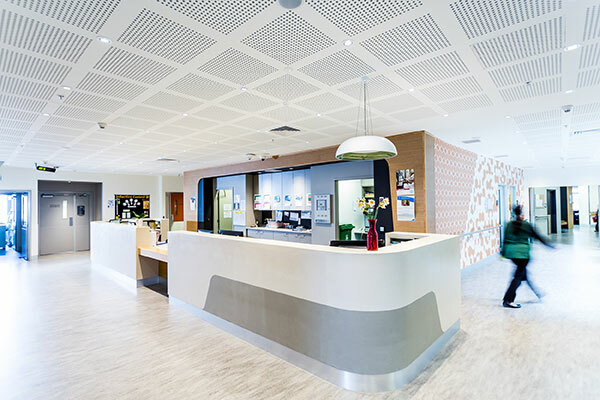 Mercy Health has expanded its aged care operations into Western Australia and Queensland, and acquired 14 more homes in Victoria. 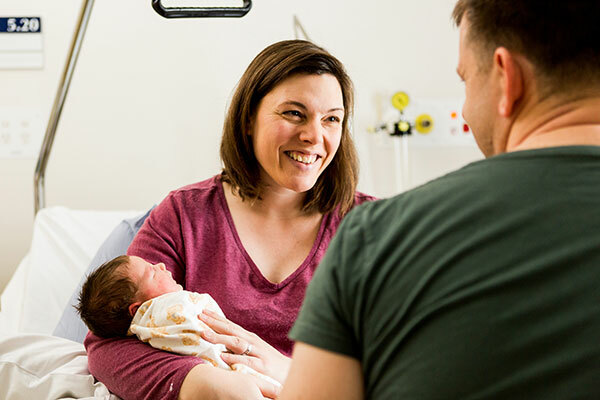 It has grown its expertise and international reputation in perinatal medicine, established Victoria’s first breastmilk bank and helped secure more than $130 million in government funding to commence the expansion and redevelopment of Werribee Mercy Hospital and the Mercy Mental Health service to help care for a growing population in Melbourne’s south west. Stephen was named CEO of the Year and Health & Pharmaceuticals Executive of the Year at The CEO Magazine’s 2016 Executive of the Year Awards. Stephen champions equity and inclusion in his role as a Workplace Gender Equality Agency (WGEA) Pay Equity Ambassador and plays an active role in supporting the retention of Mercy Health’s WGEA Employer of Choice for Gender Equality citation each year. Stephen is also passionate about improving and redesigning aged care to create a better ageing experience for more Australians. 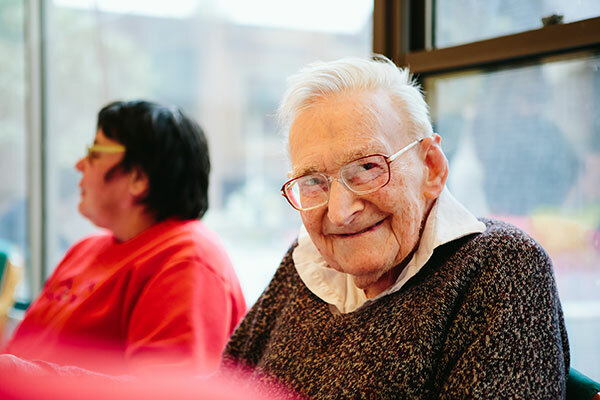 Stephen has undergraduate and postgraduate qualifications from Oxford University, University of New South Wales, Deakin University and Australian Catholic University where he has also been awarded the honorary title of Adjunct Professor for his work in aged care. He has also undertaken further development at Harvard Business School. "Compassion compels us to understand the suffering of others and do our best to alleviate their suffering, whether that be physical, spiritual or emotional." Linda was appointed Chief Operating Officer, Mercy Health in June 2018. Her role includes Executive responsibility for Mercy Health’s operational services across both health and aged services (aged care, home care and retirement living). Linda retains her role as Chief Executive Health Services to which she was appointed in March 2015. In her role as Chief Executive Health Services Linda is responsible for the oversight of Mercy Hospital for Women, Werribee Mercy Hospital, Mercy Mental Health, Mercy Palliative Care and O'Connell Family Centre as well as services in New South Wales. Linda joined Mercy Health in 2009 as Director Performance, Planning and Strategy for Health Services and has also held titles including Executive Director Mercy Hospital for Women and Mercy Health O’Connell Family Centre, and Executive Director Mercy Public Hospitals Inc. She is a Board Director of the South Western Melbourne Medicare Local, Chair of the Productive Series Steering Group for the Department of Health, Member of the Catholic Health Australia Health Policy Committee and Chair of the North Eastern Melbourne Integrated Cancer Service. Linda has held executive roles in the Victorian public health sector for more than a decade and is passionate about providing improved access to state-of-the-art health services. Clare assumed the role of Executive Director Risk Management & Quality in February 2014, before her appointment as Executive Director Quality, Risk & Service Improvement in April 2015. She is responsible for the overall leadership and direction of risk management, consumer experience, service improvement, quality compliance and quality improvement for Mercy Health. Clare has a clinical background in speech pathology and 20 years’ experience in the health industry, including senior management roles at Monash Health and service planning and performance roles at the Victorian Department of Health and Human Services. She is an Associate Fellow of the Australasian College of Health Service Management and Member of the Australian Institute of Company Directors. "Our Mercy heritage is one of personal compassion and hospitality leading the creation of great public value. It reminds us that people and their unique stories must be at the heart of our actions." James joined Mercy Health in 2016 after 20 years in senior positions in government and in corporate and not-for-profit organisations across aged care, education, mining and resources, marketing and professional services. As a senior government adviser, James has held portfolios including health, mental health, education and early childhood development, child protection, housing, ICT and biotechnology, emergency management and youth justice. He has been a member of the national government advisory team for a top tier professional services firm. He is an Executive Fellow of the Australian and New Zealand School of Government. James provides leadership to Mercy Health on government and public policy engagement, stakeholder relations, marketing, communications and media. James has a special interest in the role of creativity and design in strategy and public policy. "Our founding story was built on teamwork. Catherine McAuley chose carefully the people to work with her that shared both her passion and commitment to care for others in need. That will never change. Mercy Health in continuing her work is dependent on our leaders choosing people who are aligned to our mission to work together for the common good." Kate has more than 20 years’ experience in human resources and, in addition to her MBA, has also studied at the London Business School and at Harvard University. Kate provides strategic advice to the Group Chief Executive Officer and Executive Group and is responsible for developing and implementing the overall Group Human Resources long-term plan. Kate has been instrumental in developing Mercy Health’s Employer of Choice Strategy and was the recipient of the HR Partners Award for Best HR Leader, HR Leaders Compass Awards in 2010, and the Diversity Leader for the Advancement of Women, EOWA Business Awards in 2010. Under Kate’s leadership, Mercy Health won the Australian Business Awards Employer of Choice in 2015 and 7th Asia Best Employer Brand Awards Best Use of Technology for Recruiting Award in 2016. Kate is a member of the Australian Human Resources Institute Presidents Forum and the Equal Employment Opportunity Network. Kate was also a Board member of Diversity Council Australia from 2010–2017, serving on their HR committee from 2013–2017 and their IT committee from 2016–2017. Dmitri commenced as Chief Information Officer with Mercy Health in 2012. Dmitri is responsible for the leadership and direction of the Information Technology program for Mercy Health, overseeing and developing key strategic and transformational programs for the organisation. Dmitri has more than 25 years’ experience in the IT industry including 13 years in senior positions with multinational organisations based in Asia and Australia. Having established an excellent reputation leading IT strategy, planning and business within the finance IT industry, Dmitri progressed to senior roles at Standard Chartered Bank and global commodities trading and supply chain business Noble Group. "Catherine McAuley reminds us of the importance of stewardship when she says: 'Since there is very little good can be accomplished, or evil avoided, without the aid of money, we must look after it in small as well as in great matters'"
Matthew assumed the role of Chief Financial Officer at Mercy Health in April 2018. His role involves oversight and direction of the finance and business services function of the organisation. An accomplished senior Executive with considerable CFO and CEO experience, Matthew has a strong commercial background and demonstrated executive experience in ASX listed, private equity-backed companies and not-for-profit organisations. He has leadership experience in the fields of professional services, mining and health. Prior to joining Mercy Health, Matthew was CFO and Head of Corporate Services of headspace, the National Youth Mental Health Foundation, from 2012 to January 2018. In addition to his CFO role, he also was the headspace Interim CEO from June 2016 to February 2017. Matthew has a proven track record in delivering successful commercial and strategic outcomes, with expertise in all aspects of finance including accounting, treasury, government funding, and risk management. "We are living through an era of rapidly changing regulatory environments and customer expectations. Changing the way we do things will require innovation and teamwork." Jenny commenced with Mercy Health in October 2009 and has held a number of senior positions in both finance and strategy. Jenny was appointed as Executive Director Strategy, Planning & Major Projects in February 2018. Jenny is focussed on 'future beds', providing oversight for strategy, financial planning and analysis, service planning, capital development and commissioning. With an ambitious growth agenda and a drive for excellence, Mercy Health is actively expanding and developing our future service offerings. Jenny also has oversight of building compliance and property management. Jenny has more than 20 years’ experience working across a number of industries including mining and resources, media, airlines, telecommunications, financial services and consulting. "Catherine McAuley reminds us of the importance of respect when she says: Our mutual respect and charity is to be cordial; now cordial signifies something that revives, invigorates and warms. So,may the value of Respect at Mercy Health continue to revive, invigorate and warm the lives of us all." Julia was appointed to the position of Executive Director Leadership & Mission in June 2015 and is responsible for guiding Mercy Health’s leadership team in empowering our mission. Julia also brings extensive experience in mission leadership roles, which includes Catholic Health Australia and most recently, Cabrini Health. Julia has a deep commitment to, and sound knowledge of, Catholic health provision and what that means for mission from community, public and private health perspectives. Last reviewed February 21, 2018.